It is hard to believe the season is upon us already, but it got off to a very happy start yesterday with Grafennacht finishing second in her 100 section. This was my first event on her and she was a very good girl. She did a dressage of 20, and was a little bit boisterous and opinionated in the show jumping and had one down, but went very well cross country and got 3 time faults. The good thing was that the person who won was on 16 and could never have beaten. It was her first outing with me, and she will have a few busy weeks now when I will hopefully get to know her more. I had Luxury FH in the OI and he was on top form. He did a lovely dressage to score 27, rolled a pole in the show jumping which was a shame, but he jumped well in the fairly deep mud. He then popped around the cross country nice and easily, and it is great to have him off the mark. Oratorio was also in the OI and definitely put his best foot forward. He did a very nice fault free test, with a few slightly energetic moments, and he scored 30 which still had him right up there. He also had one show jump down which is unlucky because he jumped a jolly decent round. 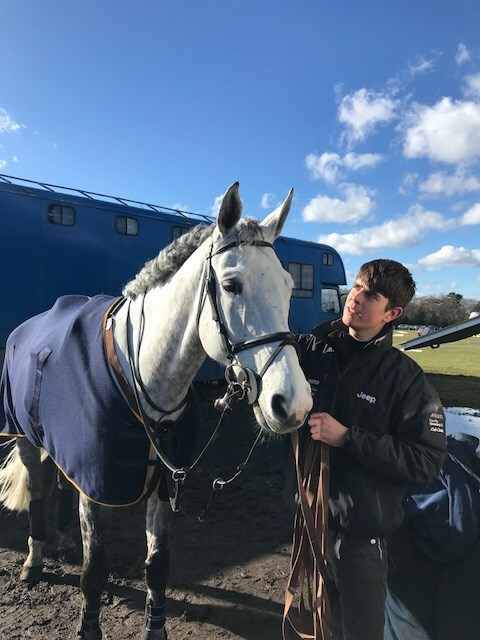 He gave me a great ride cross country which was very pleasing, particularly as we hadn't been able to get a cross country school in with all this crazy weather. It is back again today with the Novices who I am sure will keep me on my toes. 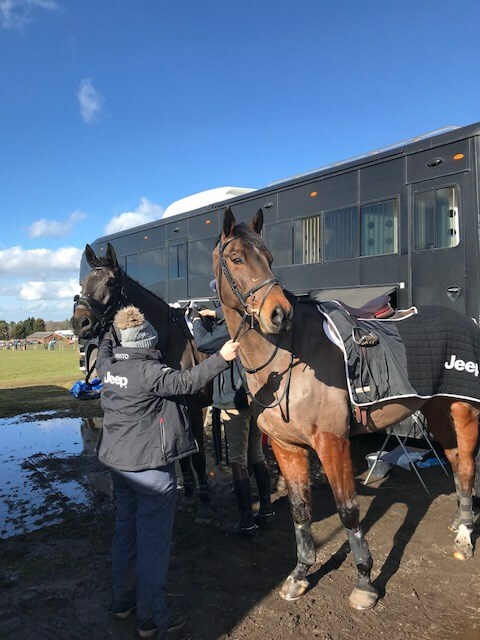 Tweseldown did very well to run, I know it was touch and go so we were very lucky to be there. The ground was remarkably good with the odd boggy patch.